I know, a little off topic but, No Weld Trailer Rack Towers aren't just for trailers anymore! Our No Weld Towers and cross bars where designed for attaching to flat vertical surfaces on trailers. As is normally the case with DIYers, they see a possibility and come up with creative new ways to use things. This has been happening with our trailer rack parts. 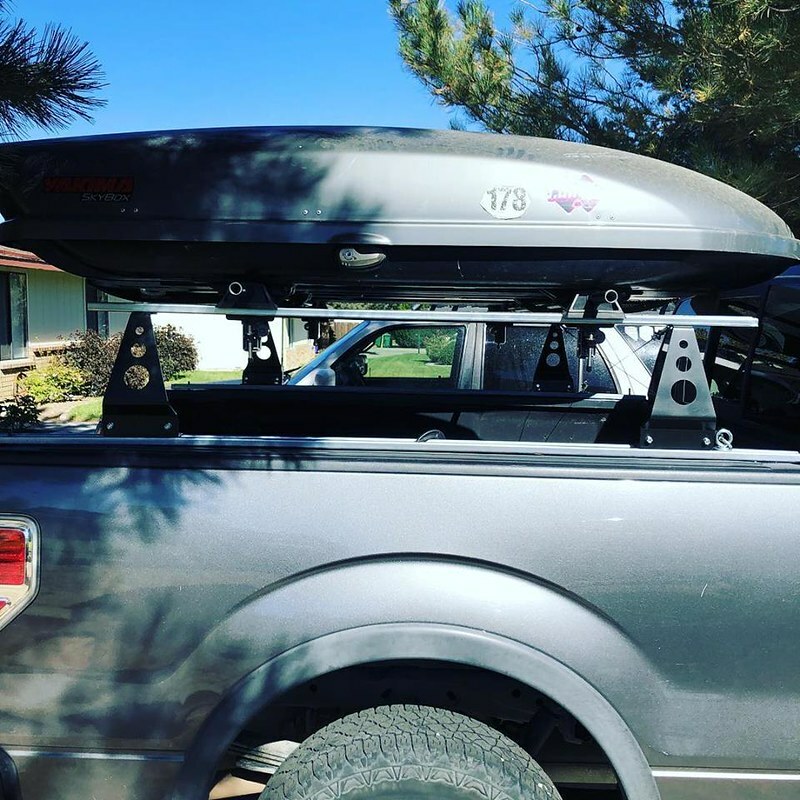 I stared this thread as a place to share examples of folks adapting and using No Weld Towers as pickup truck racks. 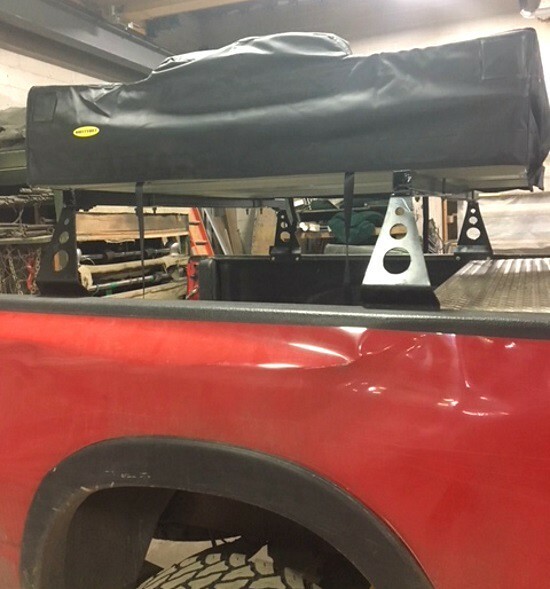 Here Lapsley first installed Adarac side rails on his Dodge Ram Pickup. Next he re-drilled his No Weld Rack Towers to match the hole pattern on the side rails. Then he topped the Towers off with cross bars made from Unistrut. 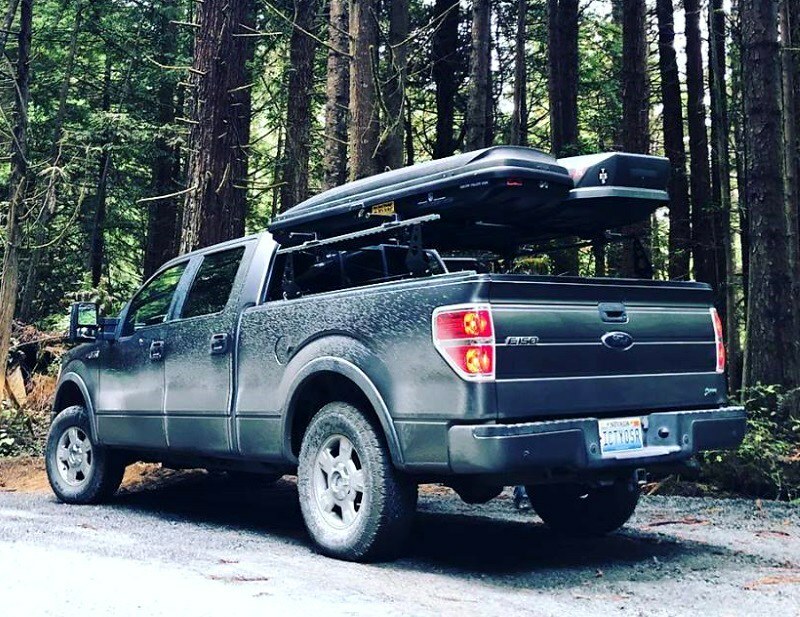 Here is what David had to say after building his nice pickup truck rack setup using No Weld Towers. "Very happy with the product quality and service. 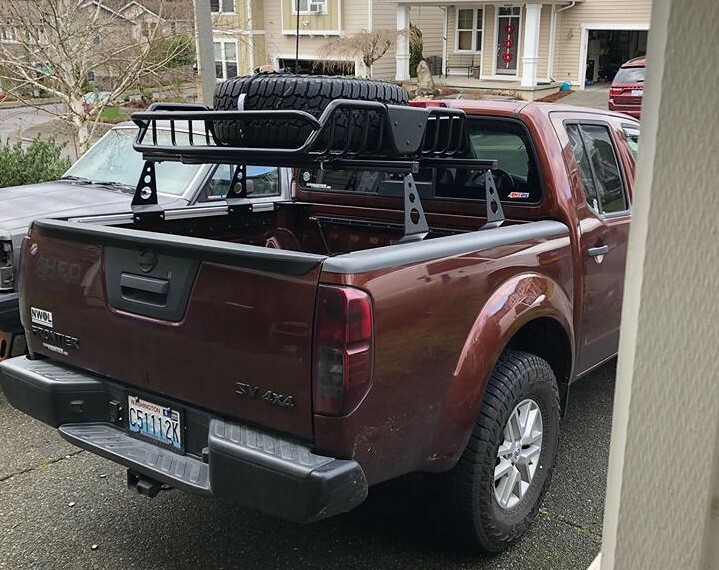 There are no real bed rack solutions for Nissan trucks fitted with the Utilitrack system. I used 1.5" steel angle for the bed top rails and also for vertical supports that lock into the Utilitrack. The supports attach to the Utilitrack with Superstrut hardware (from Home Depot). Your towers attach to the bed rails and I used 12 ga Superstrut for the crossbars. Painted everything with bedliner. 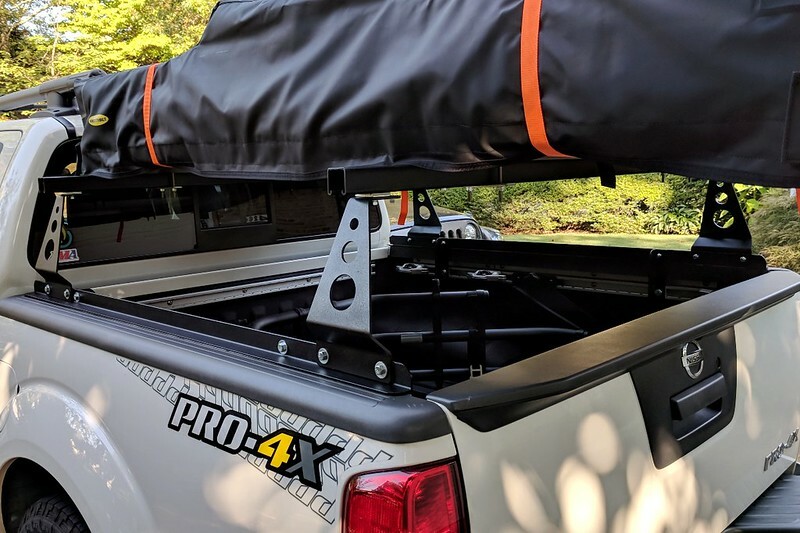 The rack is rock solid and holds the tent at the perfect height (Smittybilt Overlander XL). 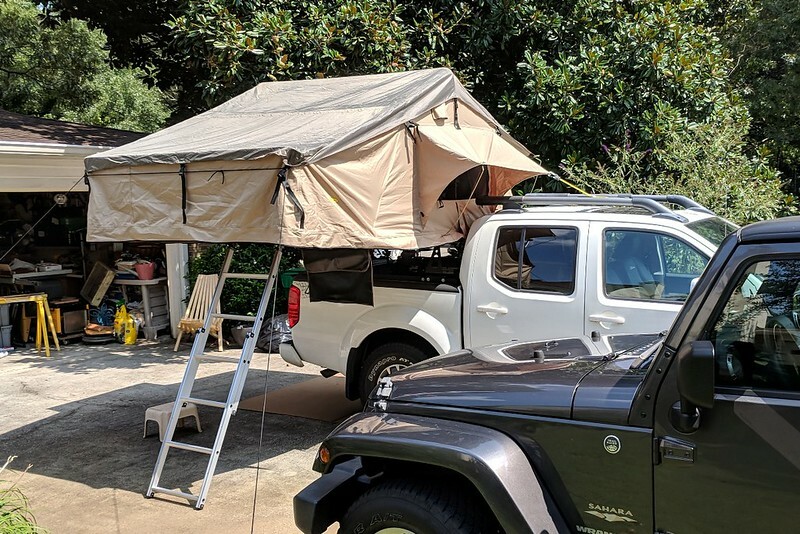 It's a short bed truck (5' box) and I was a bit concerned about the large tent at first (it's 6' long"), but it works great." 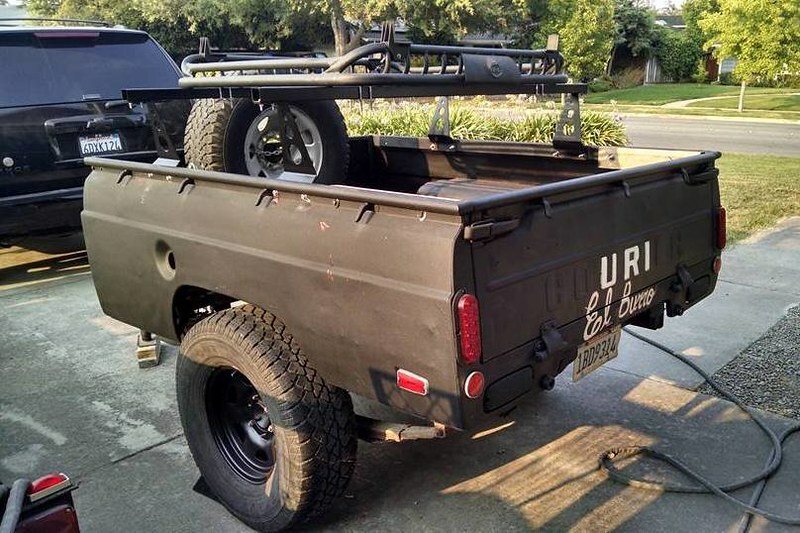 Frank installed No Weld Rack Towers on his Ford Courier pickup bed trailer a little differently than most. He oriented them "backwards" from the way they normally get installed. Great thing about a DIY project, Doing It Your Way! Works fine! 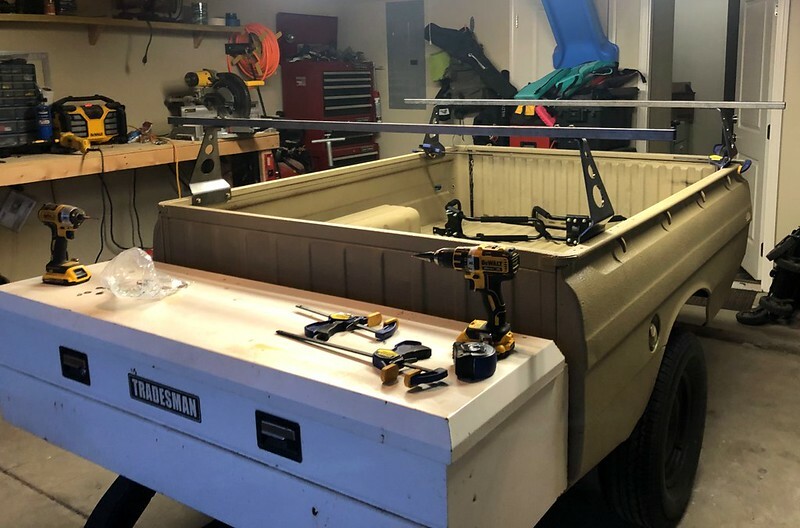 This is Mike's pickup truck bed rack setup using No Weld Towers. He did things a little different. I normally connect the Towers across the bed with crossbars. He connected the Towers side to side with Unistrut. Then connected a set of Yakima towers and crossbars he had to the Unistrut. With this variation he ran into a hiccup, the rack wasn't as rigid as our normal configuration. It had some movement going down the road. A pair of criss-crossed straps at the front of the rack was able to remedy the situation. My design was a proof-of-concept more than anything and I will have to figure something else out if I want to use it for off road. I might try the square tube cross overs and see if that lets me eliminate the cross cables. Look forward too seeing your refinements. 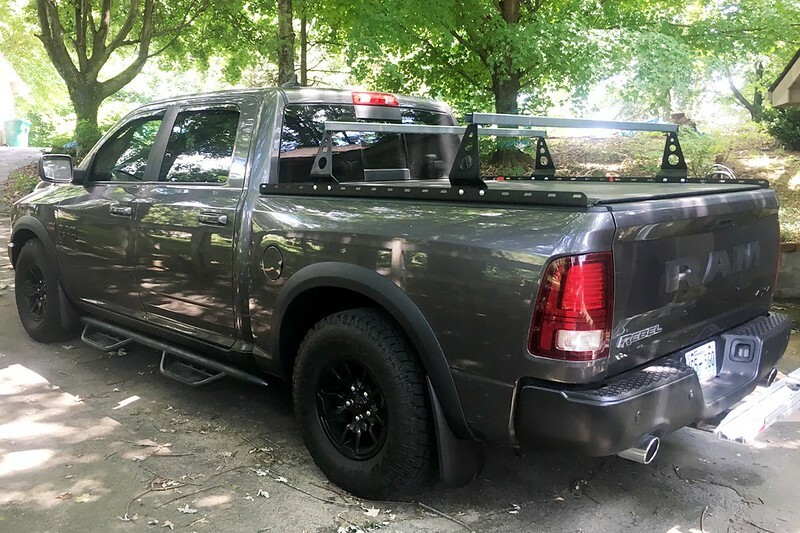 Customers say it best ... this is Noel's '05 Dodge pickup setup with No Weld Rack Towers. "I’m very impressed by the no weld towers, they are way more stout than I had imagined. CCC did an outstanding job, they had quick no hassle shipping. I like that the company goes out of their way to help the do it yourself crowd, and would like to add that I enjoyed the thank you note on my invoice. I will be a returning customer." Here is another pickup that has been turned into a trailer. 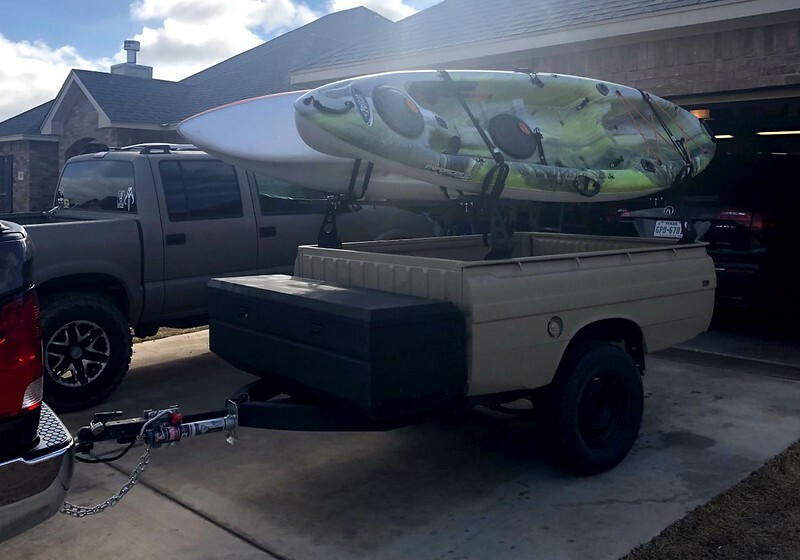 Jonathan started with an older Toyota pickup bed trailer. Then added No Weld Trailer Rack Towers and cross bars to convert it into a kayak trailer. Keman's Nissan Frontier pickup outfitted with No Weld Towers, 80/20 aluminum cross bars and a cargo basket.